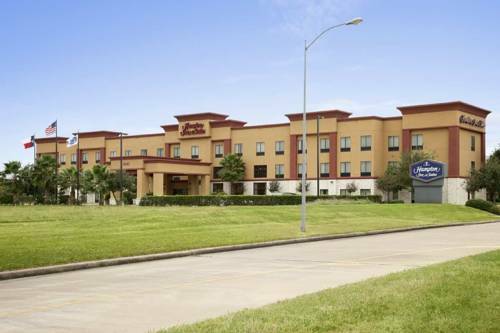 The Hampton Inn - Suites Houston-Westchase TX hotel is located in the middle of all four major highways of Houston Texas include Highway 6 Belt 8 Interstate 59 and Interstate 10. This Houston Texas Hampton Inn - Suites hotel is located in the Westchase District the leader in the business community of Houston Texas. The hotel is also located near the Galleria Shopping Center. The Hampton Inn - Suites Houston -Westchase TX hotel is an 82 room newly constructed hotel with modern rooms and a carefully furnished lobby. The Hampton Inn - Suites Houston-Westchase TX hotel is a three-story hotel with an interior entrance. Guests of this Houston Texas Hampton Inn - Suites hotel will also enjoy the complimentary On the House hot breakfast and the On the Run breakfast bags /available Monday-Friday/. We love having you here at the Hampton Inn - Suites Houston-Westchase TX hotel in Houston Texas. all reservations must be guaranteed with a major credit card or advance cash deposit to hotel regardless of time of arrival. ALL RESERVATIONS MUST BE CANCELLED BY 11:59 PRIOR TO ARRIVAL UNLESS DEPOSIT REQUIRED.